The new 2017 Toyota Highlander SE midsize crossover is in a tough market with a lot of competition. 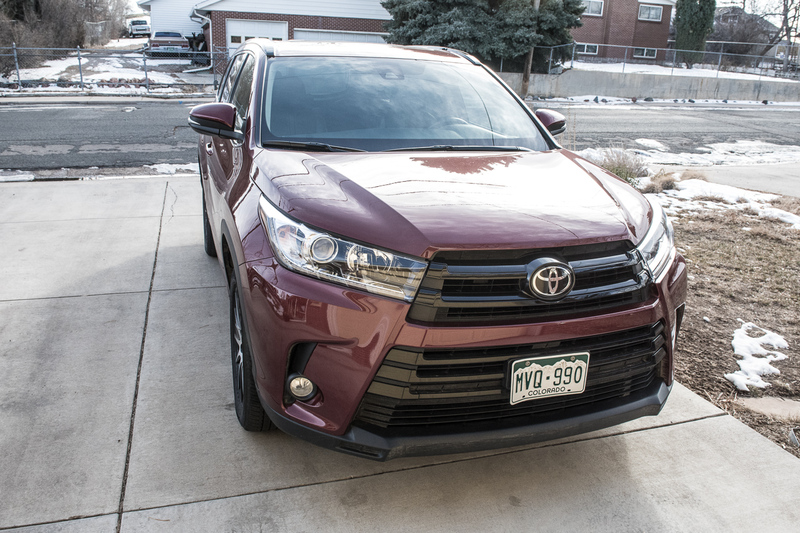 Despite the ever-changing market demands, the Toyota Highlander is a stalwart that seems to adapt with its updates for 2017. 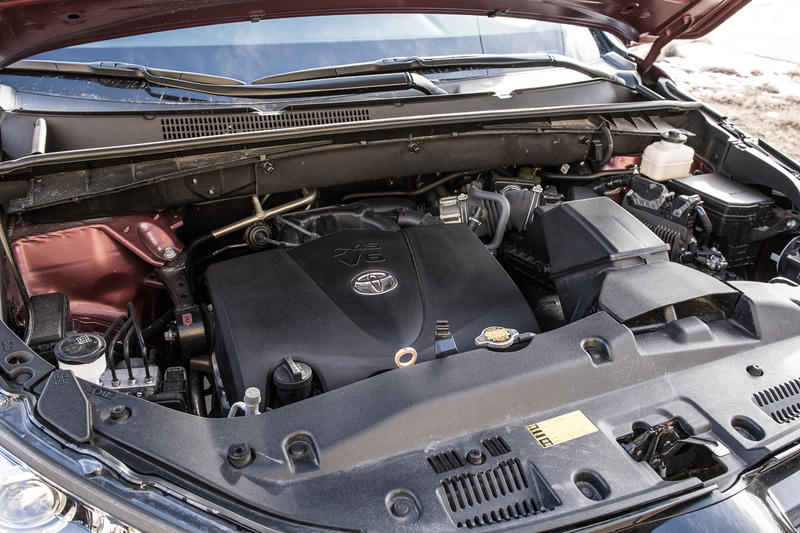 The biggest updates are ones you can’t readily see, the 2017 Highlander gets a new V-6 with better power and smoother delivery than the outgoing engine. Paired to the new motor is a new 8-speed automatic which delivers power smoothly, allows for better go off the line and keeps engine noise at a minimum at highway cruising speeds. Fuel economy improves as well my tester delivered 22 mpg combined over the week I had with it. The previous Highlander was sluggish, the power now feels more than adequate, and the Highlander will tow 5,000 pounds. The SE trim I tested is new for 2017, a feature of which is a more tuned suspension. The ride quality is definitely more firm and a little less forgiving than other models, but there isn’t nearly as much lean in tight corners which is a blessing for mountain driving. The slight increase in disturbance from potholes and uneven roads is an easy trade-off for the extra confidence the SE trim offers. The Highlander is middle of the pack in its segment for size, that’s not to say it’s small though. City driving feels tight and parking in a downtown parking garage was just barely better than a chore. Comfort for city driving, however, was excellent and the cabin is very quiet even at highway speeds. The most obvious change to the 2017 Highlander is the face lift. There’s a bigger grill and Toyota’s new bolder look has been translated to the vehicle. The resulting vehicle with it’s flares and harder lines looks a lot more like a traditional SUV than a crossover. 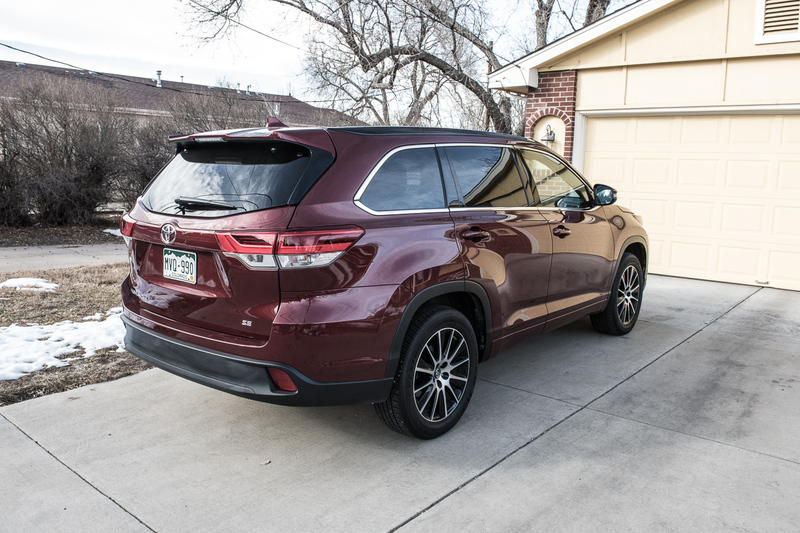 I’m a fan of the look and the SE trim takes it up a notch with an even sportier look than other Highlander models thanks to its larger 19-inch wheels and black trim. 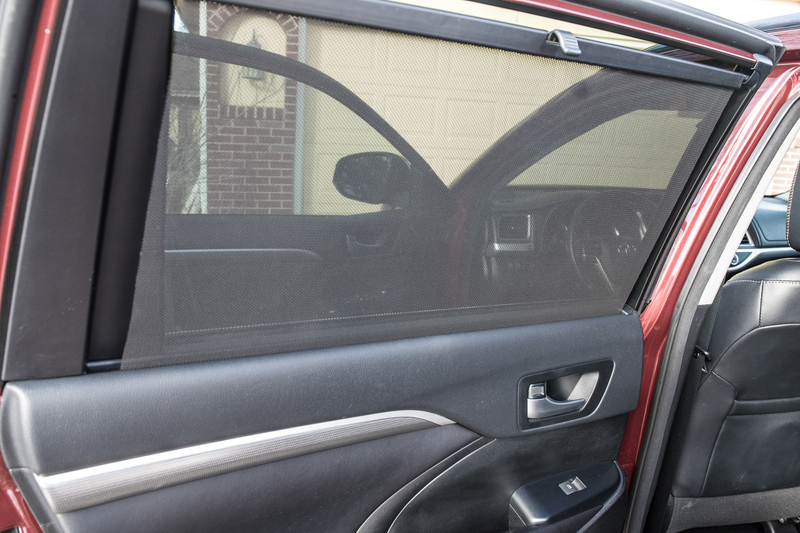 The Salsa Red Pearl paint on my tester worked really well with the darker trim pieces. Overall, it’s a much more handsome vehicle than its predecessors. 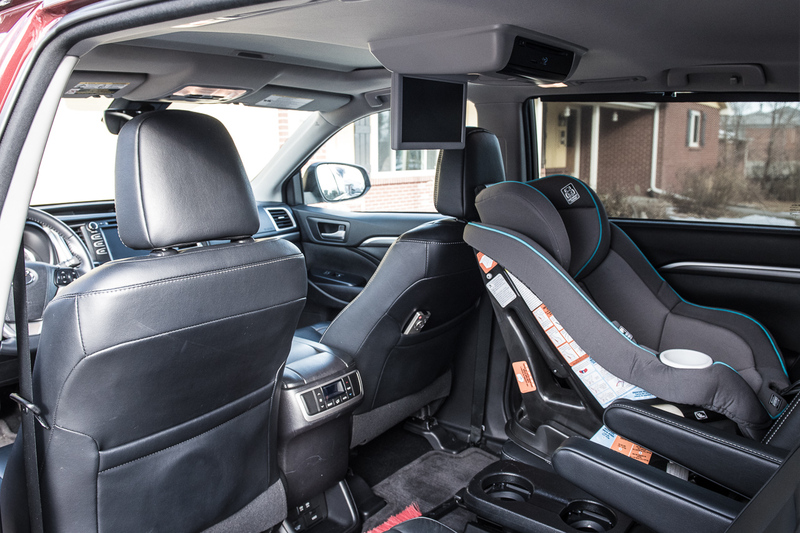 The seven-seat Highlander SE has some differences inside, compared to other models, as well. There’s a sportier edge to everything within the SE. The leather seats had nice contrasting stitching and were very comfortable with power adjustment and heat. The second row came with captain’s chairs which made the third-row much more useful. The third-row is tight though. Good for short trips with adults or children only. 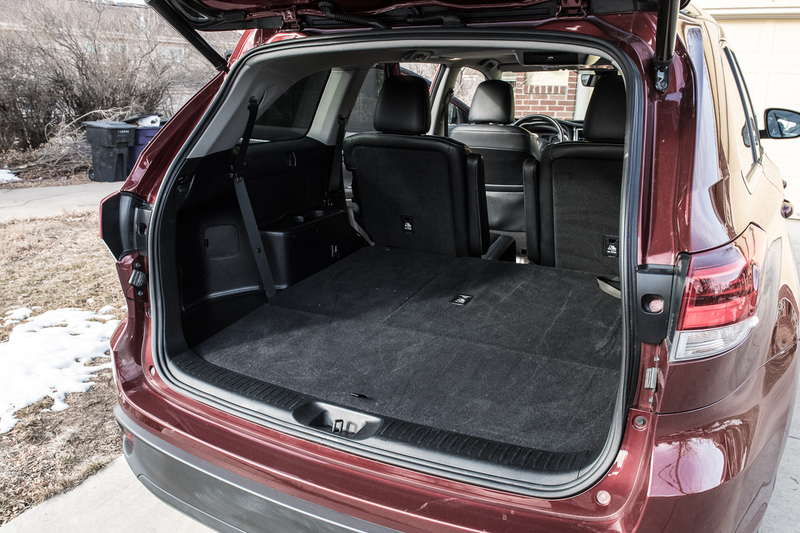 With all the seating in use, cargo space is a little less than abundant. With the third-row folded it’s cavernous. 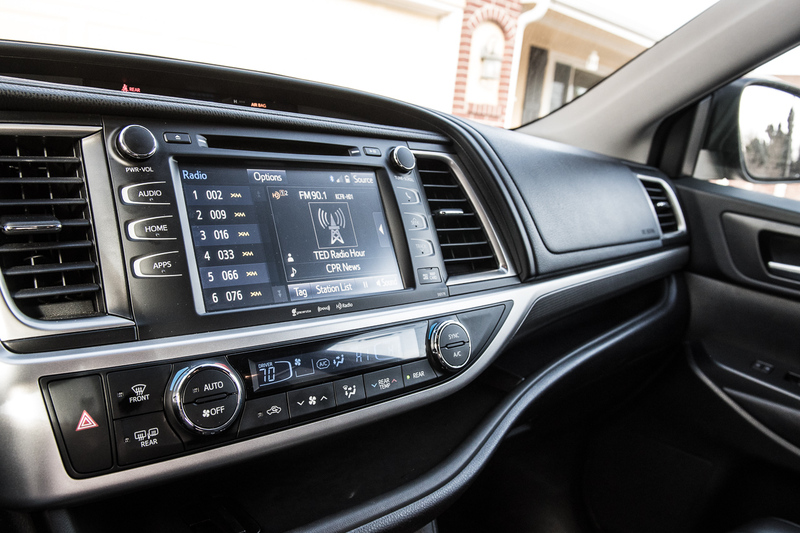 Up front, the 8-inch touch screen was great and the addition of actual knobs made the infotainment system much easier to use. There’s some nice under-dash storage for phones and other quick access items as well and the center console storage is huge. 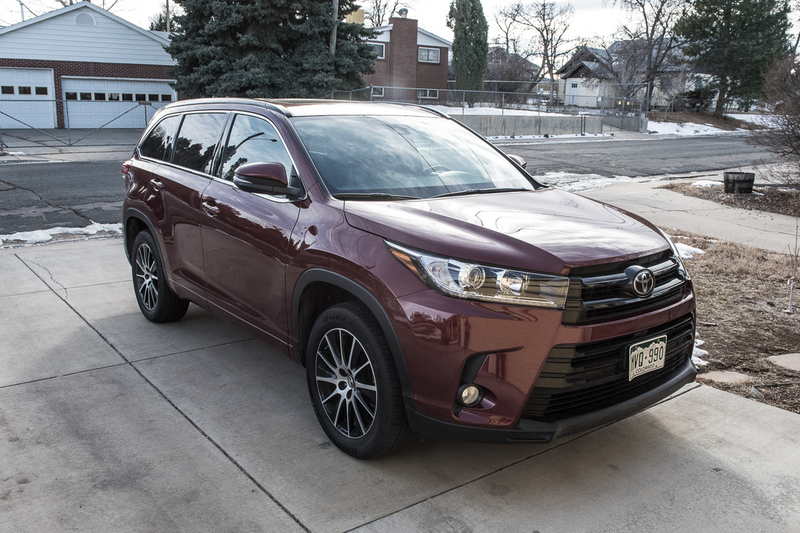 The 2017 Highlander SE is a much bolder midsize crossover from Toyota. The combination of better handling and styling makes the vehicle stand out. It’s still a family hauler but at least it’s more daring and engaging than a lot of the competition.